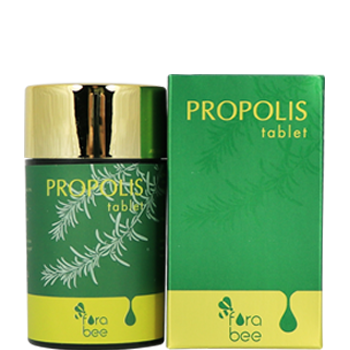 High Strength propolis extract in tablet form. This product contains flavonoids, natural anti-oxidants, which is useful for immune system support and bacterial infections treatment. Aids in inflammation of the intestines and digestive problems as well as helps recover from cold, flu, sore throat and stomach infection in a very efficient way. Take 1 to 2 tablets daily as a supplement.